"I've already read most of this book twice because that's the kind of book it is. You pick it up for laughs at the end of a long day and before you fall asleep, there are tears in your eyes. Your husband looks at you funny and you tell him, 'Yes I'm reading it again.' If you are a parent, this is the book you need to read." 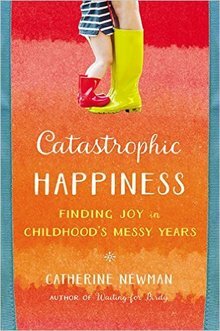 "There is no one else who reports from the parenting trenches better than Catherine Newman. Everything that makes raising kids so wonderfully unforgettable is here--the exhaustion, the hilarity, the fear, the self-doubt, the sweetness. Especially the sweetness. Even though she sugarcoats nothing--that's what sticks." "Catherine Newman could write about watching paint dry and manage to be both funny and profound. Her musings on motherhood and its attendant heartbreak will have you laughing out loud, nodding gratefully in agreement, and grasping for a Kleenex. There's no other writer I want accompanying me through my own journey in mothering." 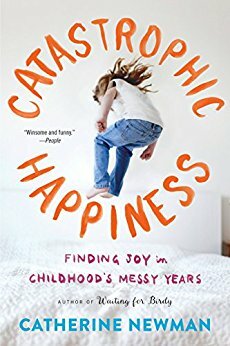 "I was reluctant to relive early parenting, but from the first sentence, Catastrophic Happiness had me on the verge of tears and laughter. But honestly, Catherine Newman could write about the black mold that lines my kitchen sink and I would be captivated and moved. She is that awesome of a writer. I pray that she writes about teenagers, menopause, and old age, because I will be right there with her, ready for her words to help me through." "The poignancy, mania, and hilarity of parenthood drenches this delicious book. Catherine Newman divulges more than her own maternal peaks and valleys-- she offers us a way of looking at our own precious day-to-day. This book is flat-out honest, and it teems with humor and sweetness." "Catastrophic Happiness is everything I could have hoped it might be. Reading it, I kept wanting to throw a fist in the air and scream, THANK YOU CATHERINE! I had the strangest and most wonderful feeling that she had climbed inside my head and knew exactly what I needed to hear." “Catherine Newman's new book about the rock and roll life of newborn parents is hysterical -- in both senses of the word -- and so dead-on honest that, as the mother of six, I wanted to have it made into a pillow. 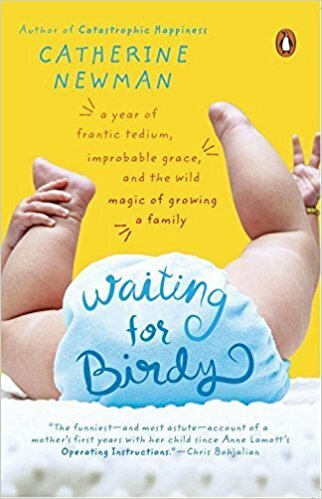 Waiting for Birdy proved my own grandmother's adage that one is like two and two is like five, and I nodded like a bobble-head doll as Newman described the delicious, neurotic hostage situation that attends the pregnancy and infancy of a child (Is it a cold? Is it cystic fibrosis?). Don't give birth without it." account of early parenthood will ring true for all who have been there, and provide rare insight to those on their way. Waiting for Birdy is a gem."